Victoria Falls has been captivating travellers for more than a century, ever since the Victoria Falls Bridge was constructed. Victoria Falls were named by Dr David Livingstone, the first European to see what is now considered one of the world's great natural wonders. They are actually a series of separate falls, which extend for 1.7 kilometres. 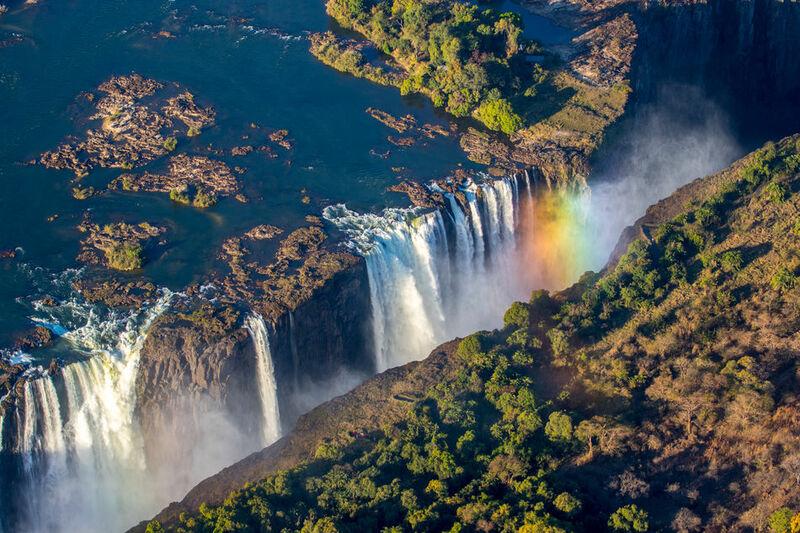 As the Zambezi cascades over the rim of the falls into a 100-metre-deep gorge, some of the water is thrust upwards as a fine spray that produces beautiful rainbows. 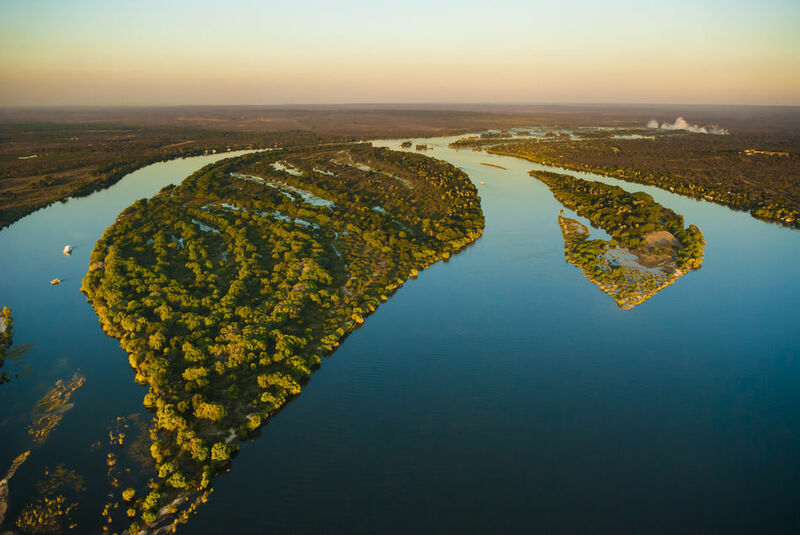 The Zambia section of Victoria Falls lies within Mosi-oa-Tunya National Park, but it's well worth seeing them from the Zimbabwe side as well. The Victoria Falls Bridge forms the border between the countries and it's easy enough to cross into Zimbabwe to visit Victoria Falls and Zambezi National Park. Scenic ‘flight of angel' helicopter flights above the falls provide an alternative perspective. Others choose to brave the Devil's Pool, a naturally formed plunge pool at the very edge of the Main Falls, approached via Livingstone Island. The waters of the Zambezi flow steadily past before dropping into the tumult below, known as the Boiling Pot. The Victoria Falls Bridge remains a good vantage point for watching the Zambezi River as it rushes through Batoka Gorge and daredevil bungee jumpers leaping from the bridge.